1. First of all, please turn off your Samsung NC10 / ND10. Disconnect the powe adapter and remove the battery. The clips near the space where the battery goes are quite stiff and usually requires a little force, not too much though. 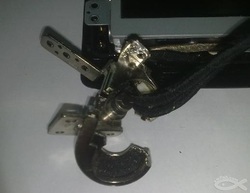 Once you have released all the clips the bottom casing will lift off, give it a slight wiggle if it seems to stick. 3. 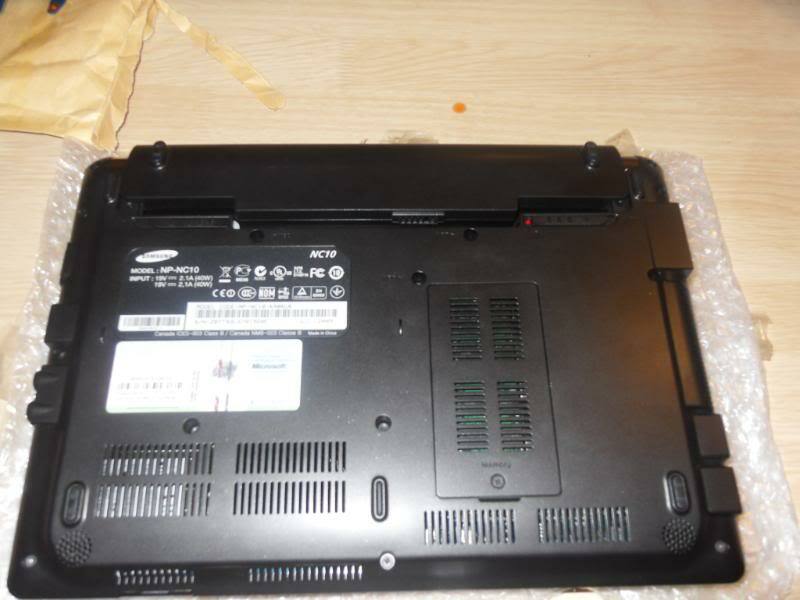 This is the bottom of the netbook with the cover off. The bottom left of the motherboard you can see where we have marked with 2 rectangles, these are the wifi antennas (2 wires, one black and one grey) that need removed, they just clip off then work both wires free right up to the top left hand hinge. 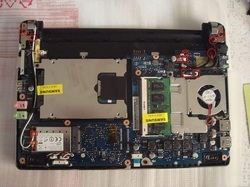 The rectangles on the upper right of the motherboard are two more connectors which need unplugged, simply unplug them. 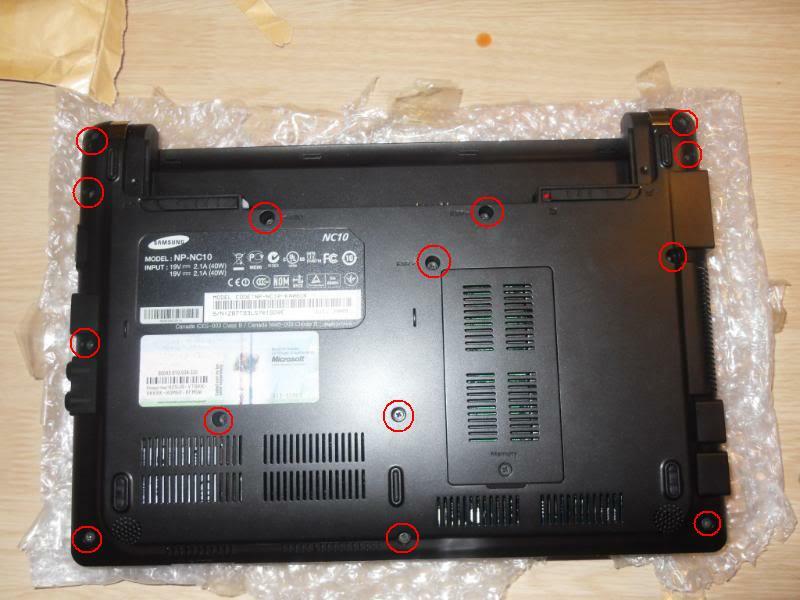 OK, now onto the screws which we have marked with red circles. We need to remove all 6 screws marked. 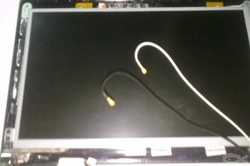 The top left 2 and top right 2 are the hinge screws and the ones just below the top right hinge are attached to the last 2 connectors you have just unplugged. 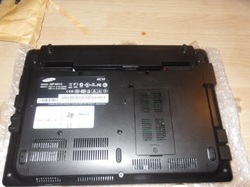 Then detach the Samsung NC10 / ND10 LCD module from the main unit. 4. 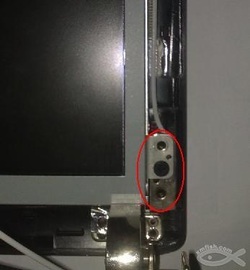 Remove the 4 screw covers in each corner of the screen bezel, it’s easily done using something like a very small flat head screwdriver, don’t be to rough though, then unscrew the 4 screws. 5. 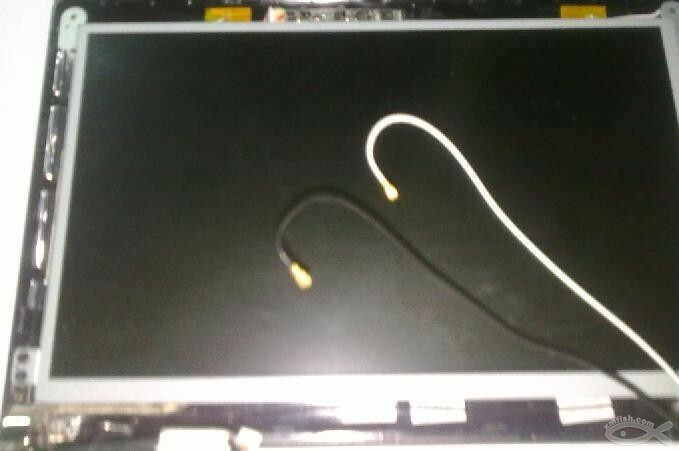 Remove the screen bezel. 6. 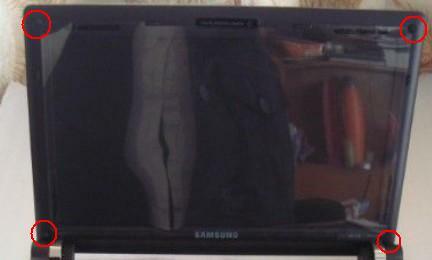 Now, you can access the hinges. 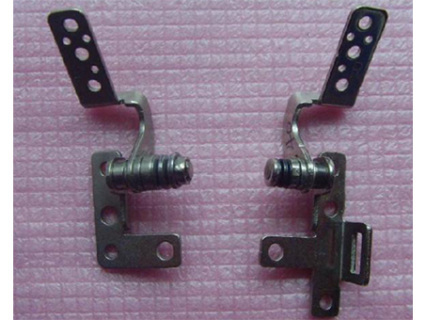 Remove the 2 screws on the left hinge and the 2 screws on the right hinge. 7. Loosen the left and right Samsung NC10 / ND10 hinges and remove them. 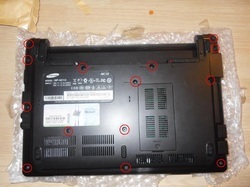 Reverse the procedure to install the new hinges and assembly the Samsung NC10 / ND10.